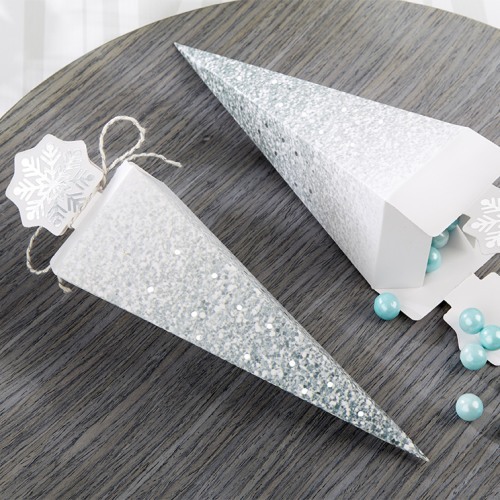 Uniquely designed, these glitter snowflakes cone favor boxes are perfect for holding candy and other small treats. Each cone shaped favor box is covered in silver glitter snowflake and dot confetti and is topped with silver foil snowflakes on each side. It easily opens and closes with white twine. Perfect for a winter celebration.